E Bow Plus, Other Guitar Accessory from E Bow. 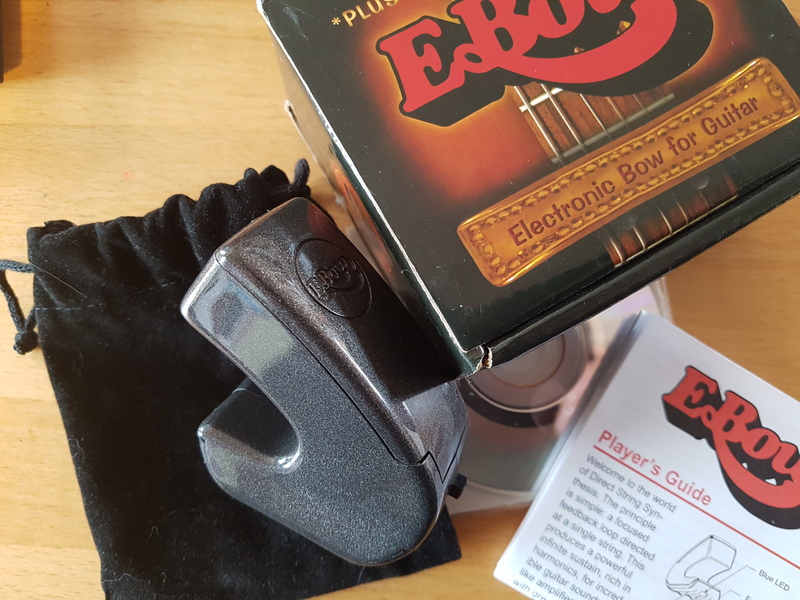 Ah the famous Ebow. I’ve seen quite a few players with this and seen them doing interesting things with it. It’s basically a hand held sustainer. It’s got two modes now as well on this plus model, that allows you to just sustain the harmonic note which is also quite cool. I personally haven’t found a use for the ebow myself yet other than copy somebody else or some other U2 songs I’ve heard. But the usage and concept is quite simple. 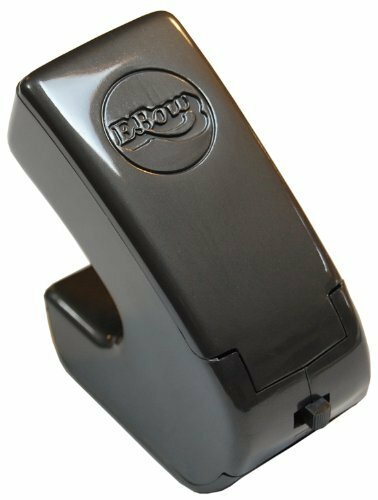 If one wants to sustain a note for a long period of time, use the Ebow. That’s the main and only purpose of this device. How often would one use it versus another effect, say, distortion? VERY sparingly or rarely obviously. The sound itself is the original guitar’s signal so there is nothing like true bypass whatever etc to be counted into this review. For beginners you may have trouble getting this thing to work properly it does work easier and better on electric guitar because of the magnets of the pickups, but that doesn’t mean you can’t use it on acoustics as I’ve heard and seen it being used on acoustics quite often. Of course it’s a magnetic-type of effect and that’s why it’s way easier to use on electrics. Also if you have distortion on you can get a very nice searing sustaining note, sounds great to boot depending on the context of the song I’d say! Overall, the Ebow is a very cool tool to get some atmospheric-type sounds and contexts to add texture to your song. If you have one it’s worth using every so often, if you don’t have one, it’s worth trying out and borrowing it from your friend and never giving it back. Give it a try if you get the chance to but I wouldn’t go out of my way to get one either! 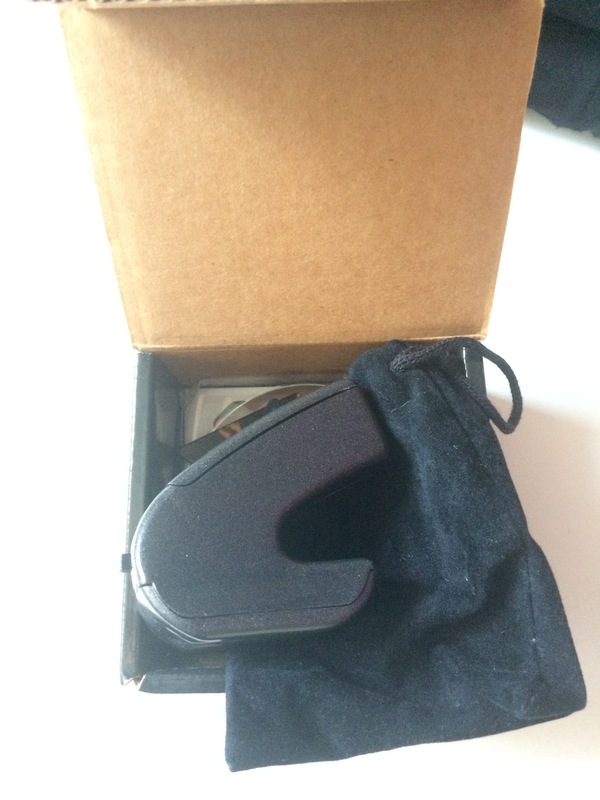 heads on fire's review"Such an innovative product." This unit is INCREDIBLE. It makes your guitar string sustain forever! Well, as long as the battery lasts. It will even cause an acoustic guitar, or bass guitar's strings to vibrate indefinitely. The operation is very simple - hold the EBow directly over the string that is intended to vibrate, switch it on, and hold your breath! Actually, don't hold your breath - this unit can keep the sustain happening much longer than you can hold your breath! You'd pass out from oxygen deprivation before this baby quit working! This is a pre-cursor to cool innovations like the Fernandez Sustainer pickup, and the Moog Guitar, both instruments that allow infinite sustain on a physical guitar string. The effects one can achieve using one of these little guys are incredible! It can make an electric or acoustic or bass sound like a cello, violin, synthesizer, horns, flutes...it is a world-class box built on a great idea. The harmonic modes are especially cool, and with a little practice, one can develop a technique to switch back and forth between the regular mode and harmonic mode while simultaneously holding a sustaining note. Adding ambient sounds like reverb or delay can definitely add to the effect's effectiveness. The only "downside" I can see at all is that multiple strings cannot be sustained, but I'm not sure how physically and practically/financially possible that idea would be for the designers of the EBow to integrate. I guess another minor gripe is that this is a tad cumbersome for the hand - it would be neat to see a unit that sustains like this, but could also allow the player to continue to hold and use a pick at the same time. All in all, this is an excellent product, rife with inspiration, and I'd recommend it to any forward-thinking metal-stringed instrument musician. The hours you'd spend creating new sonic textures and soaring solos will definitely make it worth the hundred dollar price tag. denied's review"Yes you’re guitar can be a cello"
To be honest this is a tricky one to figure out. I generally don’t place a whole lot of faith in manuals, but I just didn’t know what to do without reading up. You place the ebow on the strings which will fit right into groves. Move it slowly towards whichever pickup is selected, and the infinite sustain will start rising in volume. You will need to roll off your volume knob once you pull out the ebow, otherwise it is far too loud and will cause ears to bleed. It’s also a pain to use on either the top or bottom E string as there isn’t a string on either side of those to carry the groves, so you have to play a tricky balance game. It is a very nuanced tool that takes some getting used to, especially at higher frets. Adding some vibrato in seems to help it get going. I’m a little disappointed there isn’t a good way to run it vertically. I’ve heard it can just break pretty easily if dropped, so it might be worth picking this one up at the new price and getting the warranty. What can I say, it actually sounds like a bow going over one of your strings. At higher strings or frets you have violin/viola sounds. Lower down it pretty much sounds like a cello. Now, a lot of this has to do with your technique. I’ve seen a lot of people who don’t really put a lot of effort into the way that they are using it, and it doesn’t sound quite as good. The harmonic mode is just what it sounds like, swells of the harmonic and not the note itself. It works really well for adding a strings part to any arrangement, and I’ve taken the volume pedal off my board completely, I like the ebow so much. Definitely one of the most entertaining toys you can pick up to use with a guitar. It just opens up a whole different pallet of tonal options. Mine pretty much just hangs out in my guitar case all the time, on the off chance that I’ll have a use for it. I wouldn’t say it’s a necessity at all, but if you are looking for a fun new sound to add to your arsenal, this is a pretty solid choice. The E Bow Plus (manufactured by Heet Sound) is a unique device, dubbed the "Electronic Bow." 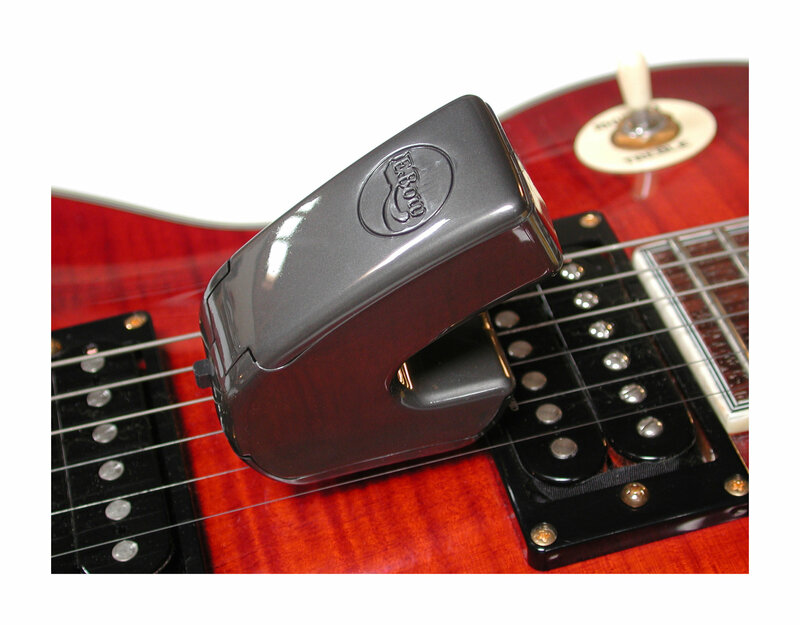 It replaces your fingers or pick and works by holding it up to the strings of your guitar and it will sustain the note you're playing. It delivers a sound that's not possible without it. When I first got it, it opened up a world of possibilities for me, as it's like getting a new effect that can be used in any capacity you'd like. 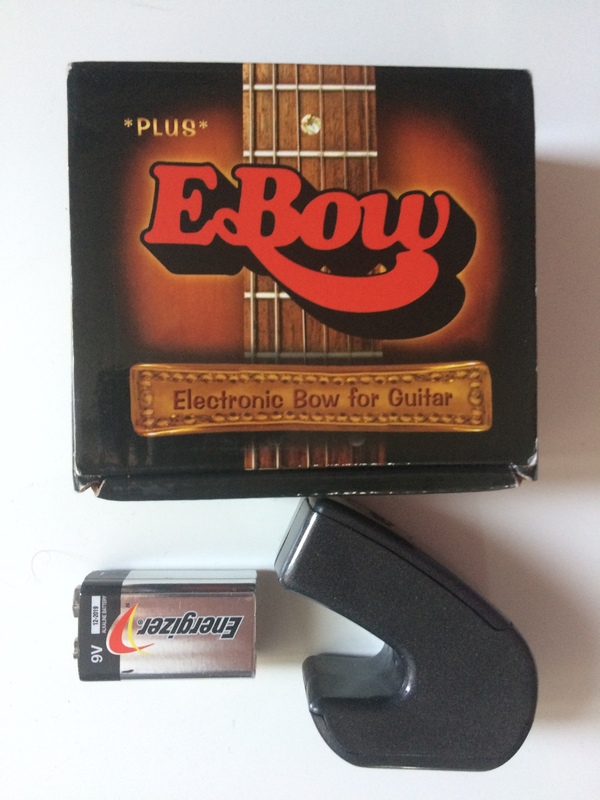 The E Bow Plus has two different modes on it, one is the regular E Bow mode and the other is a feedback mode. It's not hard to use or to play with, but did take me a little while to figure out the best positioning and all that. I've owned by E Bow for about four or five years and I still continue to use it all the time. It's perfect for adding in ambient guitar parts in any capacity, or just for getting some literally endless sustain happening. I also tend to use it a lot with slide, which I think makes for a really unique sound. It's also really cool to use with other effects like delay and reverbs, as you can really get some wacky sounds. If you are unsure of what kind of sounds the E Bow will give you, rest assured that you've definitely heard it used before on many recordings. I'd pull up a quick video or sound clip and you should pretty much instantly recognize the sweet sound that the E Bow Plus has to offer. The price of the E Bow plus is a bit less than $100 US dollars, which is definitely reasonable in my opinion. I'd definitely encourage you to try the E Bow Plus out if you're at all thinking about getting it, as I know once you try it you're going to want it. For me it's the gift that keeps on giving as I've used it on countless recordings and I'm still exploring new sounds with it.